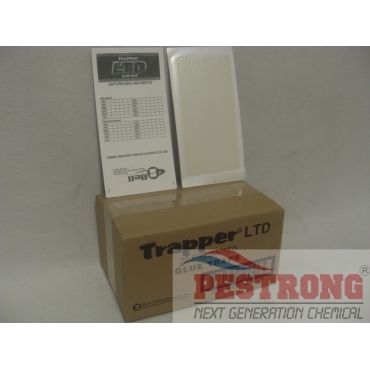 Where to Buy Trapper LTD, Trapper LTD Glue Trap for Mouse TL2506 - 72 Boards - $32.95 for Sale with Fast Free Shipping! Trapper LTD Glue Trap for Mouse TL2506 - 72 Boards is economical cardboard trap captures mice, roaches and insects on contact. Dimension : 8 x 4 in. Use alone or in Trapper 24/7, catchmaster 612mc, etc. Nice classic way to deal with rats, no need to worry about poison or injuries from snapping traps, If you want a peaceful way to get rid of your rodents this is one of the better ways to do so.